Our mission is to devise new imaging approaches to address unanswered questions about the role of oxygen in cancer. 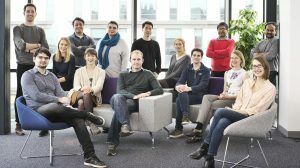 We are an international team combining physicists, engineers, chemists, and molecular biologists who work at the clinical interface. Our new imaging approaches predominantly use visible and near infrared light, to avoid ionising radiation and access relatively low cost devices. We achieve developments in this area through a combination of: modelling, to understand the interactions between light and tissue; and innovative instrument design, integrating new technologies to enable spectral imaging. By applying such developments to preclinical disease models and ultimately in patients, we aim to better understand the role of oxygen and oxidative stress in cancer progression, from early development through to treatment resistance. HyperSpectral Imagers (HSI) – or imaging spectrometers – record both wavelength resolved (spectral) and structural (imaging) data simultaneously. HSI technology therefore has potential for multiplexed imaging of reflectance, autofluorescence and fluorescent contrast agents in cancer. Example applications can be found in the intraoperative, endoscopic and histopathological settings. A multiplexed readout from different pathological targets, such as cell surface receptors overexpressed in cancer cells and metabolic molecules such as NAD(H)/FAD, could improve both sensitivity and specificity of tumour identification. HSI could therefore advance fluorescence imaging by collecting the spectral profile of all fluorescent light emissions, as well as reflected incident light, enabling multivariate statistical analysis of disease progression from normal tissue through to adenocarcinoma. For effective clinical translation of hyperspectral imaging there is, however, a need for compact and cost effective implementations of the technology that operate with high-throughput and in real-time. Until recently, the slow performance and high cost of the technology has been prohibitive for biomedical imaging. Recent advances in remote sensing, using HSI for integration in drones, has begun to drive new advances in this area. In our laboratory, we are integrating novel monolithic HSI into fluorescence imaging systems for application to preclinical cancer models. We will apply this approach to enable unmixing of injected contrast agents and tissue autofluorescence, with the goal of demonstrating multiplexed fluorescence imaging in vivo. 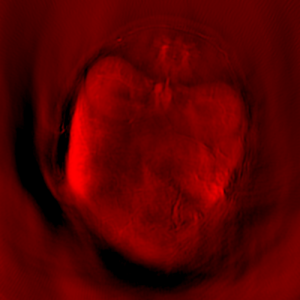 Figure 1: Example of a hyperspectral image. Optoacoustic Tomography enables the acquisition of images based on optical contrast with a spatial resolution and penetration depth approaching that of ultrasound. Absorption of a nanosecond laser pulse by tissue generates a thermoelastic expansion and results in a detectable ultrasound wave. Emerging evidence suggests that Multi Spectral Optoacoustic Tomography (MSOT), referring to optoacoustic tomography performed at multiple wavelengths, can assess tissue vascular function without the need for injectable contrast. The differential optical absorption of oxy- and deoxy-haemoglobin enable spectral unmixing of blood hemoglobin concentration and oxygenation in tissue. Moreover, MSOT is a relatively low cost imaging modality that can be combined with existing ultrasound systems and therefore holds significant potential as a future clinical tool. We are working on the development of novel experimental and analytical methodologies for MSOT in cancer. This includes the use of light fluence models relevant for application in vivo as well as standardised protocols for contrast enhancement in tumour tissue. New fluorescent/optoacoustic contrast agents are also under development. We are ensuring biological validation of the available MSOT image features using preclinical models of breast and prostate cancer. We expect the use of MSOT to provide us with new insight into the process of angiogenesis and mechanisms of response to novel anti-angiogenic therapies. Oxidative stress and metabolic alterations derived from inflammation and tumour growth lead to hypoxia and angiogenesis in cancer and are associated with disease aggressiveness as well as the evolution of drug resistance. The interplay between blood oxygenation, tumour hypoxia and oxidative stress has yet to be fully understood. Furthermore, there are few validated, non-invasive, methods to detect their spatiotemporal distribution and without these tools, the impact of this interplay on tumour biology cannot be studied. To overcome this limitation and help to elucidate the role of oxygen in cancer, we aim to validate and apply novel imaging methods to study oxygen delivery and utilisation in preclinical models and in patients. Free radicals, including reactive oxygen species (ROS), are generated as a normal by-product of respiration and play an important role in intracellular and paracrine signalling in healthy tissue. These free radicals are normally detoxified by both enzymatic and non-enzymatic antioxidant systems. Oxidative stress, and eventually cell death, occurs when the concentration of free radicals exceeds the capacity of intracellular antioxidant systems to detoxify them. Cancers of the lung and gastrointestinal tract frequently arise from sites of chronic inflammation, where the sustained oxidative environment can damage healthy epithelial cells and lead to malignant transformation. Once transformed, the aberrant metabolism and proliferation of cancer cells in many different cancers, combined with areas of necrosis due to poor oxygen supply and inflammatory cell infiltration, lead to far higher levels of ROS. Cancer cells must therefore adapt quickly in order to survive and continue to proliferate in the tumour mass. They achieve this via two mechanisms: first, they upregulate their antioxidant capacity to detoxify ROS; and second, they stimulate angiogenesis, the growth of new blood vessels from surrounding host vasculature, to improve the supply of oxygen and nutrients to the developing tumour. Understanding the influence of antioxidant capacity and tumour oxygenation on disease aggressiveness could therefore aid the development of biomarkers of early disease. Emerging evidence suggests that the early adaptation of cancer cells to overcome prolonged and severe oxidative stress, via increased antioxidant capacity and angiogenesis, plays an important role in the mechanisms of resistance to many standard chemotherapeutic agents. We therefore believe that non-invasive imaging of these processes could help us to detect the emergence of drug resistance and aid trials of exciting new therapies that counteract these adaptive responses, leading to better outcomes for cancer patients. Targeting the tumour vasculature is an attractive treatment option, with anti-angiogenic agents providing a means not only to prune immature vessels but also to induce a window of “vascular normalization”. However, although anti-angiogenic therapies have been extensively trialled, they have not yet lived up to their promise. Two key obstacles in this regard are tumour heterogeneity and the lack of validated imaging biomarkers that can characterise this heterogeneity. Addressing these obstacles would help to predict drug response, characterise heterogeneity of response, optimise drug dosing and monitor response to therapy. By directly imaging the tumour blood supply, our approaches will enable new insights into the mechanism of action and scheduling of drugs that target the tumour vasculature. If we cannot directly excite our molecule of interest or detect its oxidation, we can design a contrast agent that responds specifically to the target of interest and amplifies the available signal. With a focus on small molecule contrast agents, we aim to provide a “smart” readout of the spatial distribution of antioxidant and free radical species within a tumour. There are many challenges in developing redox responsive contrast agents that do not perturb the system under study, but the ability to reveal oxidative stress in real-time in living subjects is our long-term goal. You can find out more about our lab and work on our website and in this short video.